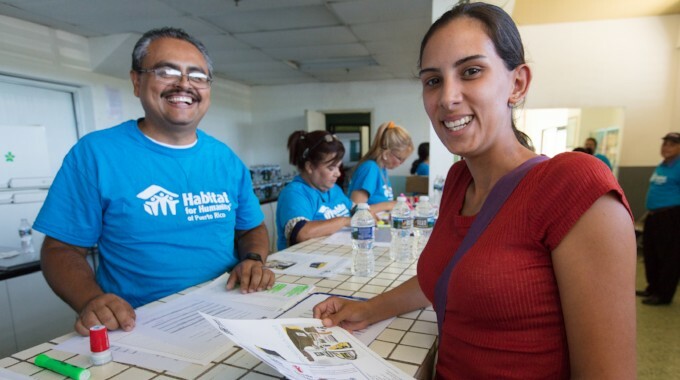 In the weeks since Hurricane Maria battered Puerto Rico on September 20, Habitat for Humanity Puerto Rico has been scaling up its response. 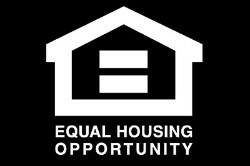 For starters, Habitat and Save the Children distributed 2,000 shelter repair kits in communities across the island. The tools and supplies inside are helping families make critical repairs to their homes. 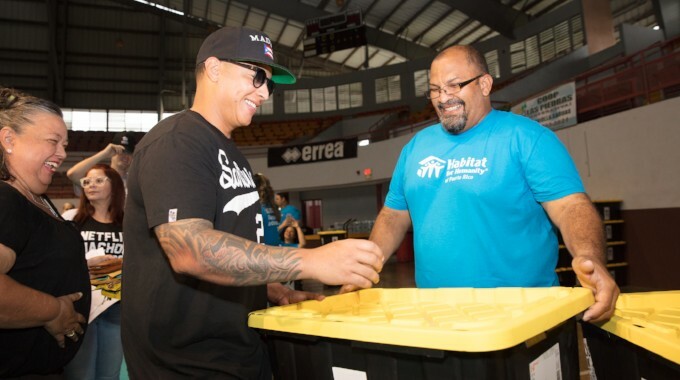 Puerto Rico native, rapper, producer and "Despacito" singer Daddy Yankee helped distribute the shelter repair kits in Caguas. 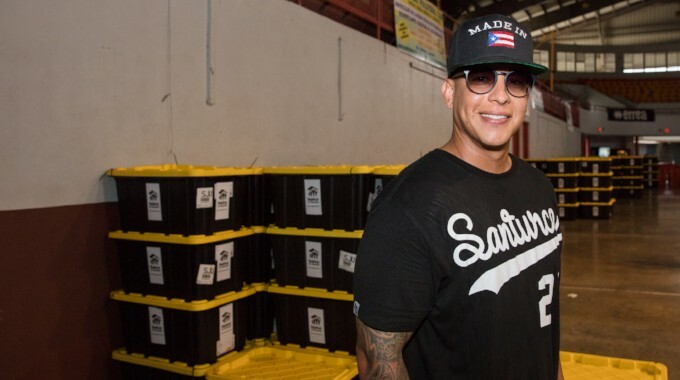 Daddy Yankee has pledged a personal donation of $250,000 and to raise an additional $1.5 million toward Habitat's long-term hurricane recovery efforts. 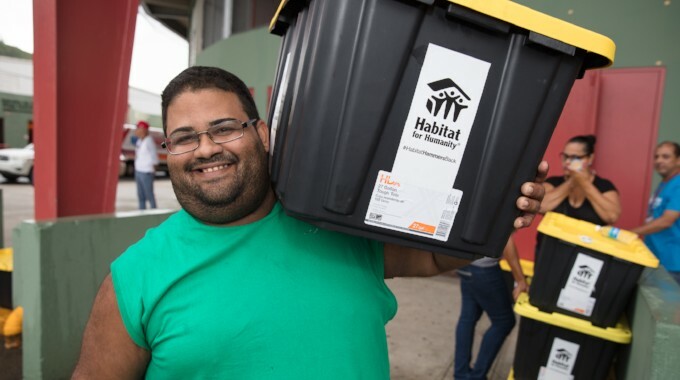 A man carries a Habitat shelter repair kit in Caguas, Puerto Rico. 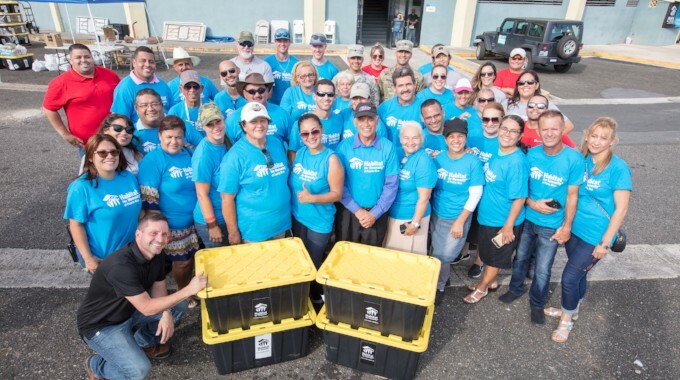 Habitat volunteers gather around shelter repair kits they helped to distribute in Caguas, Puerto Rico. 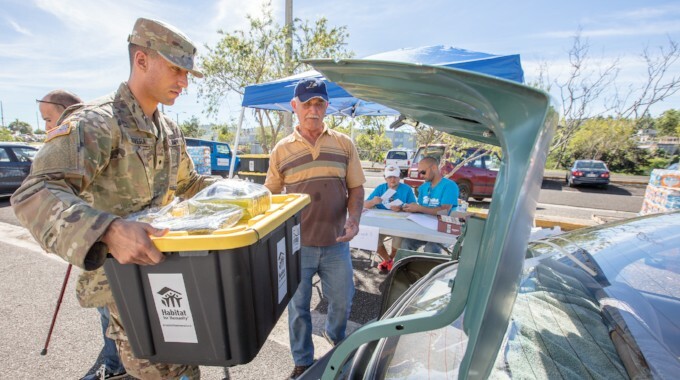 A volunteer shows Keyshala M. Torres what's inside the shelter repair kits that were distributed in Orocovis, Puerto Rico. 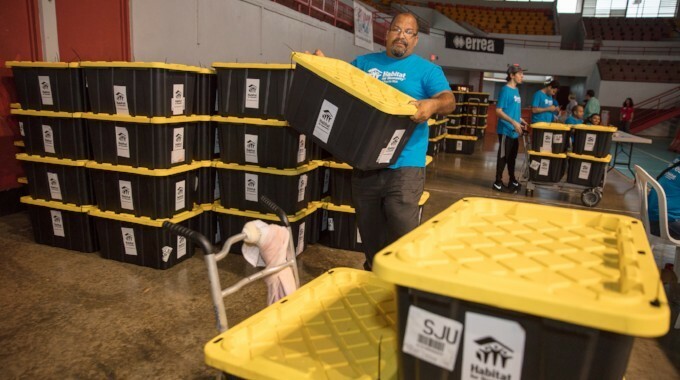 Volunteers stack dozens of shelter repair kits on the floor of an arena in Caguas. 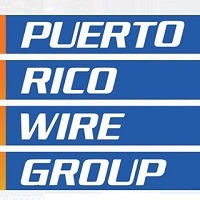 SPC Wilberto Rivera loads a shelter repair kit into the car of a resident in Orocovis. 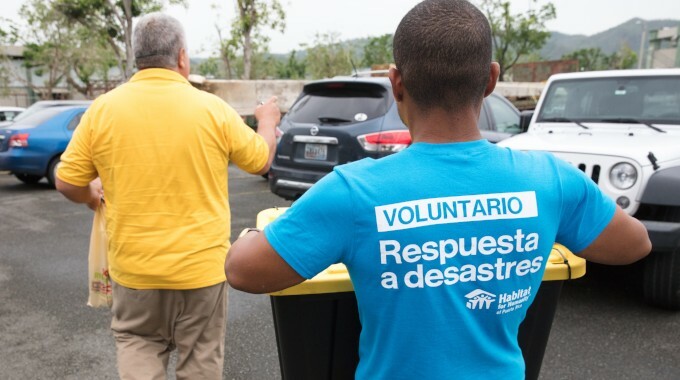 A volunteer carries a shelter repair kit to the car of a resident in Caguas. 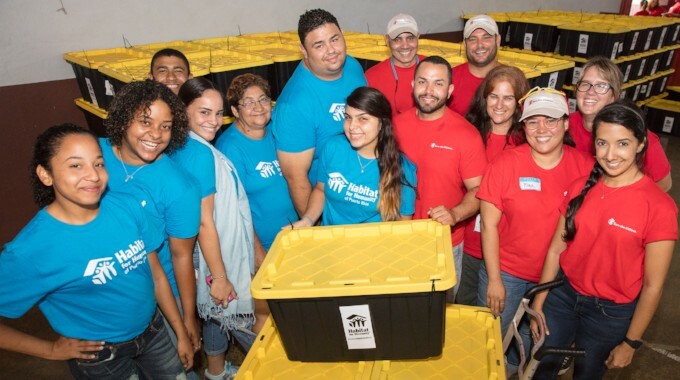 Volunteers from Habitat for Humanity of Puerto Rico and Save the Children worked together to distribute the shelter repair kits in Caguas. Eliseo DeJesys packed his new shelter repair kit and a case of water into his car to take back to his family in Orocovis.